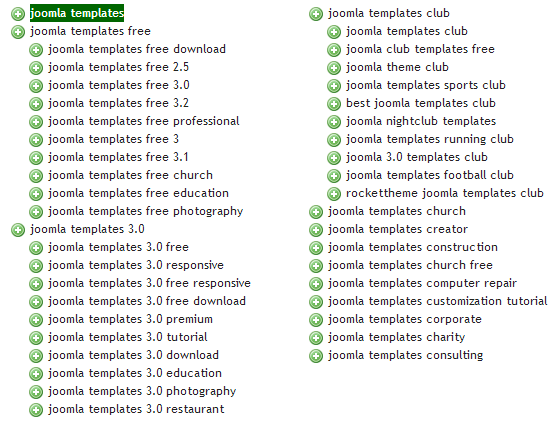 You already have a Joomla website? And you have a big SEO plan for it? Then it's impossible to lack right tools for research, analysis and implementation. There are hundreds of paid and free SEO tools available on Internet, but just a few can get the work done. Here are top best SEO tools for Joomla sites I recommend to help you get the right marketing efforts and traffic goals. "Simple is the best", totally suitable when mentioning this tool. 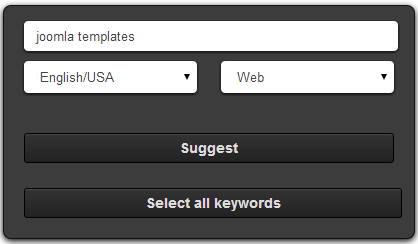 With easy-to-use and friendly user interface, Ubersuggest will help you digg out most related keyword by support of Google API. After choosing the suitable keyword choice based on the list, you should make a save in excel file. This helps you in anchor text diversification and especially with long tail keywords which are the longer , more specific keywords and add up to account for the majority of organic search traffic, you will possibly reach more potential customers. 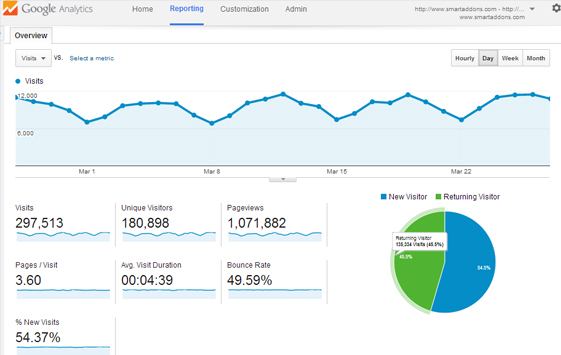 First of all, it's very important to use Google Analytic in your SEO strategy. Moreover, it's totally free. Most of webmasters are making best use of this tool in processing of web traffic analysis. After establishing the required fields for your own Google Analytic profile, you will be lead to detailed statistics. Refer to the following pic to see how it works. - Dashboard : Provide the best overview of website statistics. You can pick up the available information to show more with its details. - Audience : Mainly focus on visitors' information including Demographic, Interests, Language, Location and their behaviors on site. - Acquisition : Handle the visitors' flow through Channels, Referrals, Campaigns,... 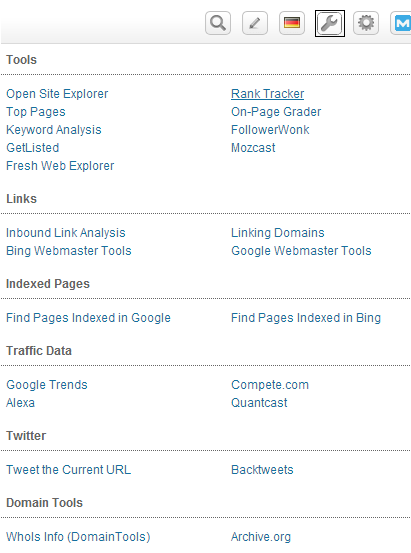 This part is strongly good for SEO due to the statistics of where the baclinks are. - Site content : Mostly concentrate on wesbite content, most viewed pages, average time on that page and bounce rate. With support of speedy link display, nice GUI and providing the whole picture of any websites' link profile, Ahrefs ranks high in top list of effective and global-used link analysis tools. Coming with main features below is the reason for most webmasters in the world choose it. In addition, this tool also provides Anchors Cloud which describes keyword distribution on current or any other sites, then you can also check on area of External/New/Lost Backlink or Referring Domains to see details. Furthermore, SEO report, Backlinks report, Domain Comparison and Batch Analysis are also integrated in this powerful tool to serve all webmasters' demands. However, Free accounts will be limited in use so you need to pay money to get full usage. This plugin provides quick overview related to Pagerank, Alexa Rank, Domain Age (DA), indexed Pages, Social Network, Diagnosis and number of Internal or External link of any web pages. For clarified information, webmaster will be able to check directly on browsers and easily make changes in website admin panel to have the best optimized onpage with support of Seoquake Diagnosis that contains datum about meta title, description, keyword, H1, H2, H3,...tags or robots.txt, Sitemaps, etc. Pagerank (PR): states ranking of websites assessed by Search engines ranking system. The higher Google ranks, the more qualified and trusted website is. Google Index (I): the number of indexed pages within website. Alexa (a): Basically, Alexa Ranking tells user how popular on Internet of webpage is. So it's considered as an important part to evaluate web effectiveness in every activity. Social Network: show how people are interested in provided information or products of that website. Make the best use of this community to get more traffic goals. Diagnosis: check on status of meta title, description, heading tags to make them optimized and friendly with Search engines. More options about Google Webmaster tools, Keyword Analysis, Inbound Link Analysis, Rank Tracker, On-page Grader,... are also integrated in this tool to make itself stronger than other ones.